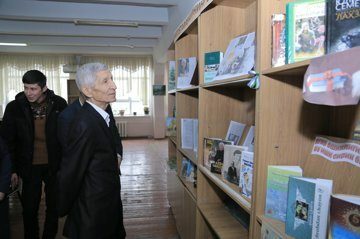 One of the talented writers, Anvar Obidjon, a poet, publisher and playwriter, has been publishing dozens of books and books that successfully develop the traditions of Hajj literature. Anvar Obidjon was born on January 8, 1947 in Poloson village of the Altyaryk district of the Ferghana region, in the family of servicemen. The first book of the poet was published in 1974 as the "Motherland". For the past 20 years, his following works has been published "Masxaraboz bola" (1980), "Olovjon va uning do’stlari" (1983), "Bahromning hikoyalari" (1984), "Ey, yorug’ dunyo" (1983), "Ketmagil" (1985) "Bezgakshamol" (1985), "Juda qiziq voqea" (1987), "Oltin yurakli avtobola" (1988), "Daxshatli Meshpolvon" (1990). In addition to this, his "Qo’ng’iroqli yolg’onchi" and "Pahlavonning o’g’irlanishi" works were performed. In these works, life's habits and shortcomings are exposed by bitterness, mockery, and laughter. In recent years, Anvar Obidjon wrote "Ramazo va Gulmat hangomasi" (1992), "Meshpolvonning janglari" (1994), "Alisher va Husayn yoki uch dono va o’g’ri" (1996), "To’tiqush", "Topsang hay-hay ..." stories, plays and poems, epics. He was awarded with the title of “O’zbekiston xalq shoiri” (1998). 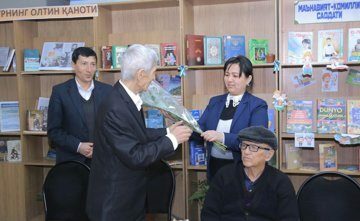 A poetry meeting was organized with the poet in the regional information and library center named after Ahmad Farghon for promoting creative work of Anvar Obidjon. 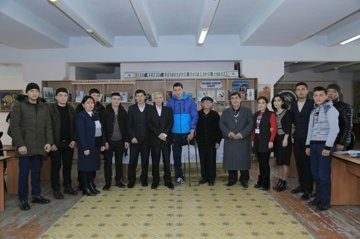 “Farg’ona sport olami” magazines’s the head editor Mirzahid Mirzayev and member of the Fergana region's society of disabled children, owner of "Jasorat" medal Ilkhomjon Eshankulov and readers were attended in the event. At the meeting, the poet also recalled bright memories and childhood years associated with his life and career. The meeting literally turned into a creative dialogue between the reader and the poet. During the event, our poet Anvar Obidzhon read the examples from his works. Also his poems were read by the young readers.